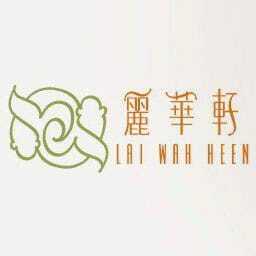 Lai Wah Heen is located on the second floor of the Metropolitan Hotel just east of Chinatown. Once you walk into the hotel lobby through the front doors your expectations are immediately transformed – naturally, one expects exceptional service and hospitality from a hotel. I wasn’t too sure what to expect from Lai Wah Heen, but the walls of the elevator I took up to the second floor were tastefully adorned with a beautiful, vividly colorful Chinese mural that set my expectations of what was to follow. It was a great start – making the process of finding my way to the restaurant part of the overall experience itself. Nice. I remember thinking how just one of the washrooms at Crown Princess is probably more expensive than all of Lai Wah Heen, but I quickly reminded myself that I wasn’t there for the decor, I was there to eat. So how was the food? As you can see from the photos, an obvious amount of effort has been put into the presentation of the dishes – they look nice. The ingredients were noticeably fresh and of very high quality. (They used real lobster, real crab, super fresh scallops, high quality shrimp, etc.) However, it didn’t take long to realize that most of their time had been spent making things presentable and hardly any time had been spent in making things taste exceptionally great. In the process of trying to be fine dining, Lai Wah Heen has forgotten that taste is king! Memorable dishes are what bring people back, not presentation. I ordered eight different things off their dim sum menu, but everything tasted like it was just a variation of a single theme. It was hard to distinguish lobster from crab, scallops from shrimps, etc. I can see how this might appeal to ultra-conservative palates who haven’t had real dim sum before, but fine dining doesn’t have to be so sterile and bland. It was a big disappointment. The shrimp roll was one of the worst I’ve had anywhere and I barely finished half a roll; the spare ribs were extremely fatty and uncharacteristically bland; the sunflower seeds in the deep fried shrimp dumplings were almost impossible to taste; and the Crystal Shrimp Dumplings (har gow) were also greasy and filled with oil. Weird. You can see from the photo of my empty bowl just how greasy they were – I had just one of the shrimp dumplings and that’s how much oil came out of it. But for the most part, there was nothing super offensive about the food, everything was just indiscernible, very boring, and there was definitely nothing memorable to make me want to go back. In terms of garnishes, the fried dumplings all came with shredded carrot underneath – it serves a purpose (to allow the grease to drain from the dumpling without having a pool of oil on the plate) but the carrots were shredded too finely so they ended up sticking to the dumplings and it required a lot of work to peel the tiny pieces off just so you could eat one of them… It wasn’t very well thought out. Plus, I’m not a big fan of garnishes that are inedible or only there for show – do they expect me to eat all that carrot (and parsley!?) with the dumplings? I didn’t find the prices at Lai Wah Heen to be very expensive at all considering the quality of the ingredients they’re using. (You can see the prices of everything I ordered by clicking on the photos above.) They’re still way more expensive than most other dim sum places in Toronto, but very comparable to Crown Princess. The major difference is taste – Lai Wah Heen has sacrificed taste in the name of fine dining and Crown Princess is proof that it doesn’t have to be that way. Fine dining should be exceptional service and exceptional food. Even without Crown Princess in the picture though, I think you’ll still have a much better meal at many other dim sum places in Toronto, (and for much cheaper). Overall it was a very unremarkable meal and it didn’t leave me with any desire to return or even take my leftovers with me. The service on the other hand was great – it was exactly what you’d expect from a fine dining restaurant in a hotel. Courteous, efficient, respectable. It would have been nice to have a little more personality or friendliness to the service (I was never told my server’s name even), but that’s obviously not the vibe they were going for. The maître d’ did come to my table a couple times to make sure everything was going well and it was obvious that he was trying to create an exceptional experience for me, so kudos to him for that. I went at the peak of lunch time and the restaurant was not even half-full. Maybe that’s not always the case, but it did feel like the restaurant was grossly over-staffed while I was there – there were more wait staff than diners. At a table across from me, there were four gentlemen in expensive suits having a business lunch (ordering a la carte since none of them knew what dim sum was) and I couldn’t help but notice one of the men was often eating with his hands. At first, I saw he was struggling with his chopsticks like it was the first time he’d ever seen a pair, and after a while I noticed he’d sneak his hands in there and pick up the food with his fingers when he thought no one was looking. He was obviously hungry but feeling too intimidated by his colleagues to ask for a fork, and I wondered why at least one of the wait staff didn’t pick up on this and bring everyone at the table a fork "just in case". I felt sorry for him, and to his credit, the chopsticks were very short, skinny and by far the most uncomfortable chopsticks I’ve ever had to use. I was tempted to ask one of the servers to take some forks over to their table, but that of course, would be very rude of me. This is still the most prominent image I have in my mind when I think back to my experience at Lai Wah Heen and I wonder why a hotel waiter (who’s job is all about attention to detail) didn’t pick up on this and act on it. Anyways, maybe I should mind my own business. So often in the reviews on my blog I write about how restaurants need to remember that they’re in the hospitality industry and how service is half the reason people go out. But with Lai Wah Heen, I find myself now having to stress the importance of the opposite – the food itself has to be a restaurant’s top priority! At Lai Wah Heen, you’re paying for service. Unfortunately, the food just doesn’t rise to the occasion. Lai Wah Heen was published on Thursday, January 12, 2012 at 4:02pm EST by Daniel Menjívar and last updated on April 11, 2018 at 9:30pm UTC .